Vladimir Putin: Mr Prime Minister, colleagues, let me wish you a warm welcome once again. I am very pleased to have this chance to meet with you on the sidelines of the Shanghai Cooperation Organisation's summit. Of course, I want to begin our talks today by congratulating you on the start of the official procedures for Pakistan's accession to the SCO as a full-fledged member. 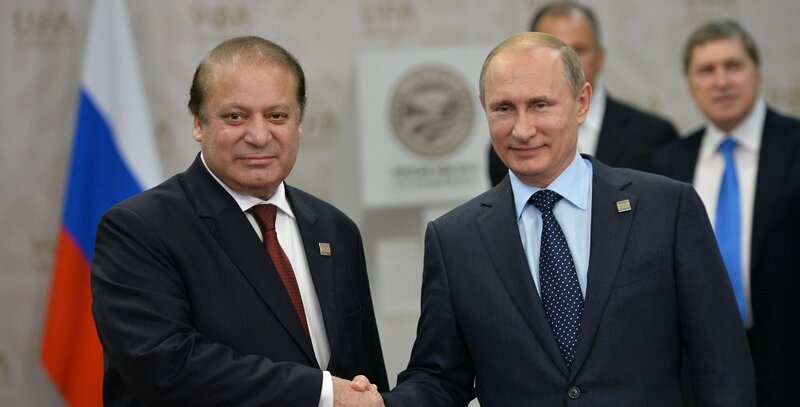 Pakistan holds an important place in Russia's foreign policy. We have traditionally had friendly and constructive bilateral relations and we are developing our ties through various ministries and agencies. I think that our trade and economic ties are regrettably still rather insufficient and do not match our countries' possibilities. We need to make a big effort to change this situation.